I MIGHT be getting a new kitchen. Girlies, you would be proud of my steadfastness. Four years of dropped hints as heavy as an American fridge and the end is possibly in sight. Glossy cream storage beyond my wildest dreams. “Oh no you won’t,” said I (in a high-octave squeaky voice) – realising just then that I was an official Say It Out Loud Wine Geek. Why would you want to store wine squidged up against an oven with all its variations in heat? The temperature is up and down like Tigger on a trampoline. People get hot enough in a kitchen but at least we can open a window or take off a cardie. So should you have your own kitchen click-click man lined up, a tad of advice. Keep your wine somewhere cool, where the temperature is fairly constant. My bottles are well away from radiators and sunlight which can cause wine to warm and change the flavours for the worst. Red wines are commonly served at room temperature; but think on. Room temperatures in 2014, with our radiators blasting and insulation designed to keep every degree of heat in, are not the ideal. If reds are over warm then the flavours become off-kilter. Store reds in a cool place; it is easier to warm them up slowly as you need them. Popping a red in a fridge for a few minutes is not sacrilege if it is a light red such as a beaujolais. If you want to chill whites or sparklies in an ice bucket as a star-of-the-dinner-table treat then put equal amounts of water and ice in the bucket. The ice will chill the water which is in constant contact with the bottle, cooling the wine that much quicker. Please don’t lose sleep over the preciseness of this. I certainly don’t. 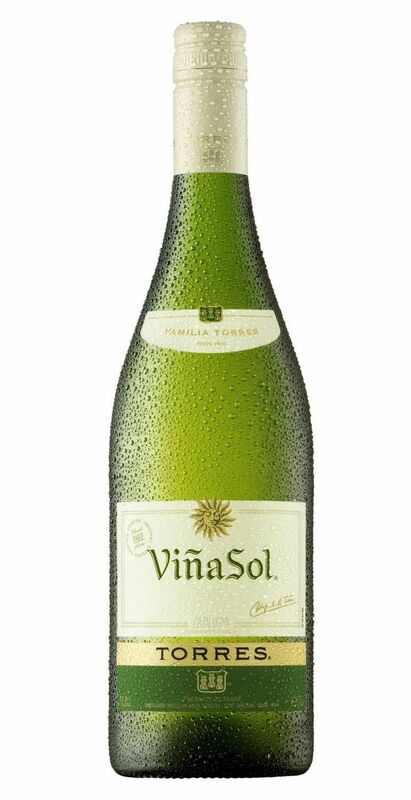 If you haven’t seen a bottle of Torres Viña Sol around your parts, then where have you been. A label featuring fifty suns has been issued to mark the passing of 50 years since Bodegas Torres experimented with fermenting grapes at a lower temperature to develop a fresh and aromatic white. The grapes are parellada and garnacha blanca, with paralleda one of the three grape varieties used in cava. The wine is a sensible 11.5% abv and is pale lemon with a fruit-edged rim of apples and pineapple on the nose. To taste it buzzes freshness with apples and lemon zest but the flavours don’t linger as long as the juiciness. It’s a decent glug of wine for the price. It is widely available with an RRP of around £7 and this month limited offers include £5.99 each at Majestic (if you buy two); £4.99 at the Co-op; and at Morrisons it is £4.49. 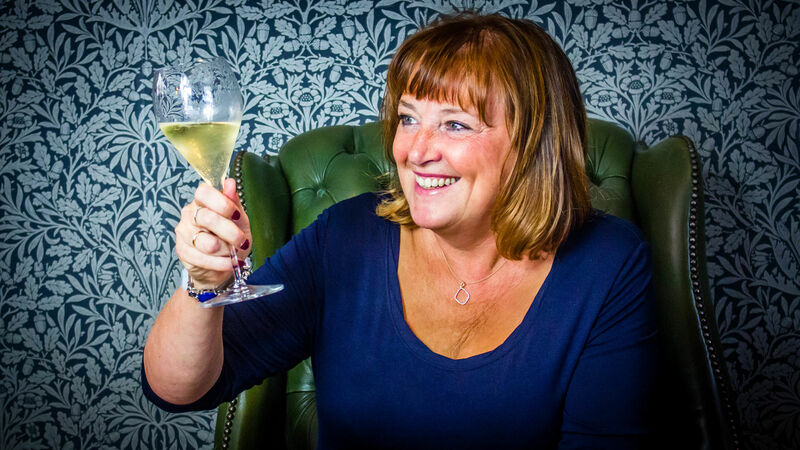 Love this article Jane, just a bit worried where the wine racks are in our new kitchen in Burnley! It’s our secret Sue …….. Previous PostPrevious That uncorking wine trick using a wall and a shoe is explained!